GEORGE NEWS - George was recently hailed as one of the Western Cape cities offering the highest quality of life, beating Cape Town according to Numbeo’s data which indicates that George offers the highest safety rating, a good climate, a relatively affordable cost of living, low traffic and low levels of pollution. In terms of total cost of living, George is 21% cheaper than the City of Cape Town and 9% cheaper than Port Elizabeth. This is according to Expatistan, a collaborative international cost of living index. The most noticeable saving was found in the housing sector, where, on average housing costs were up to 49% cheaper relative to Cape Town. “The relative affordability of George makes it an ideal location to invest, especially in terms of remote-work or finance and business service offices as well as retirement real estate and other key sectors where affordability is a major pull factor such as the film and multimedia. “ said Pedro Oliphant, Economic Development Manager for George Municipality. 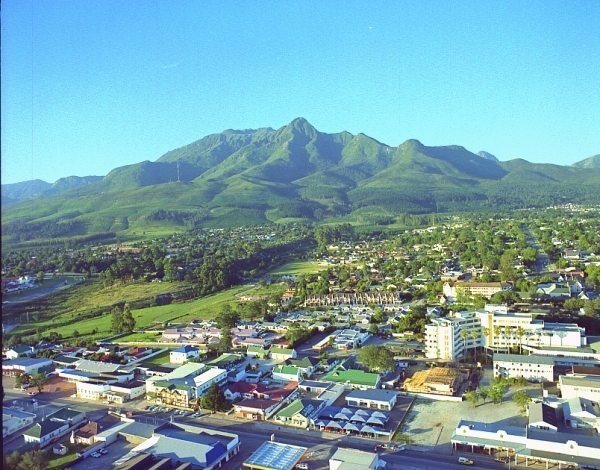 Joan Shaw, Tourism Manager George noted that the high standard of living available in George is one of the reasons that a number of families are relocating here from all over South Africa. This is an important marketing tool for tourism and investment. A second accolade was highlighted this week by the release of the Quarterly Financial Statistics of Municipalities (QFSM) survey which collates data on municipal operating expenditure and income. George was noted as one of only two municipalities in the Western Cape, and one of only 28 in South Africa to be financially independent, that is they only rely on national government grants for up to 10.6% of their total income. Income is either generated by the municipality itself via property rates, service charges, fines as well as levies on water, electricity, sanitation, refuse, or grants and subsidies received from other spheres of government. Executive Mayor, Melvin Naik highlighted the survey’s findings in his budget speech and congratulated the administration, CFO and his team on the financial management of George Municipality. He also noted that it was very exciting news for George to be credited as a destination with such a high quality of life. “It is an indication that we are on the right track of laying the foundation for investment in the City. We will definitely build on this accolade and predictions are positive that we can do even better. My sincere congratulations goes to excellent staff of the George Municipality who deserves all the credit,” he said.